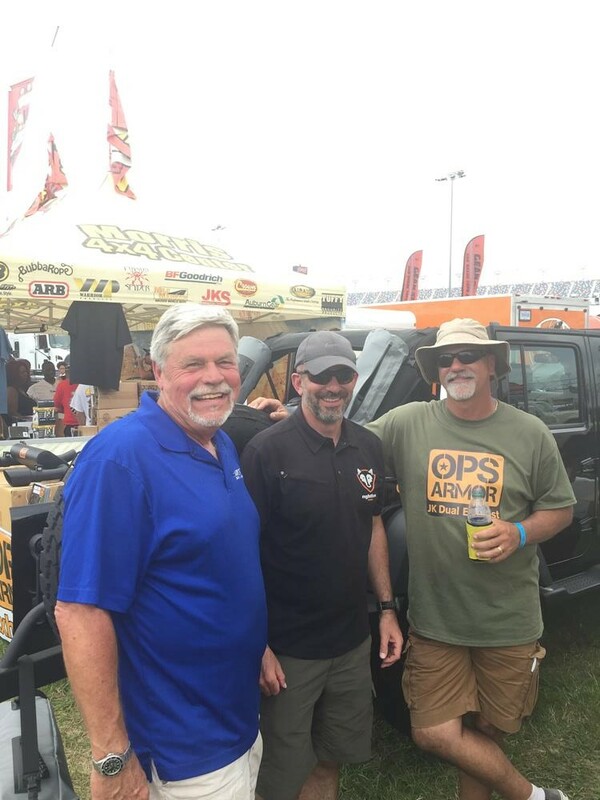 I shared a booth with Mark Sarine of OPS Armor at Jeep Beach in Daytona, FL earlier this year. Mark was kind enough to let us display our Jeep Storage Bags on his 4-door Wrangler. We were both there to support the sales efforts of Morris 4×4. Mark is on the right, Mike Oldham of Bob Cook Sales is on the left, and I am in the middle. Over the course of the weekend I got to demonstrate the OPS Armor exhaust to many customers. Mark ended up showing our bags to many customers as well. My extra job for the weekend was especially fun, because the exhaust sounds more like what you would expect to find on a Ferrari, than what you would expect to find on a Jeep. I loved watching the expressions on peoples’ faces when they heard the exhaust for the first time. I also got to ride around Daytona Beach with Mark and could feel the power boost the exhaust offered, just sitting in the passenger seat. Needless to say, I was hooked after the one weekend. Thankfully Mark offered to sponsor our SEMA Jeep Build when it became a reality, OPS Armor Model 1000. 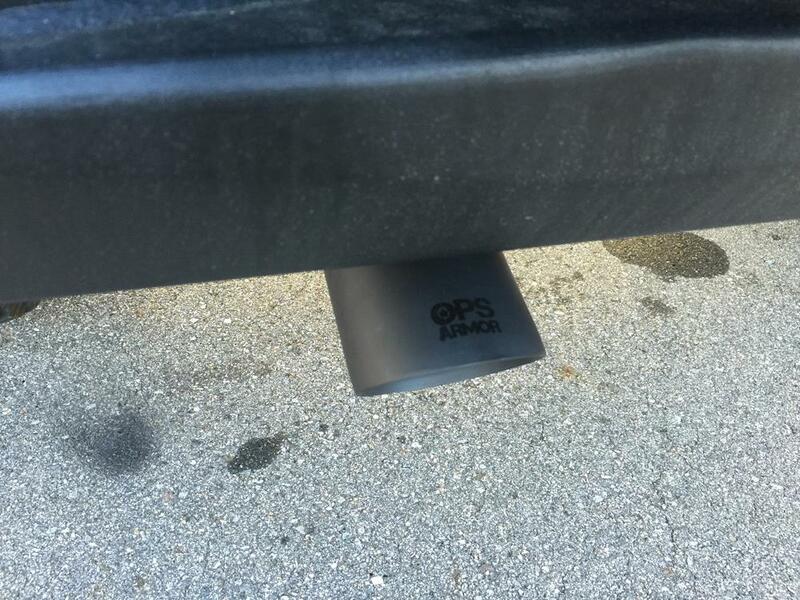 I was glad to get rid of that ugly stock exhaust whose metallic color clashed with our everything black philosophy for the underside of the Jeep. 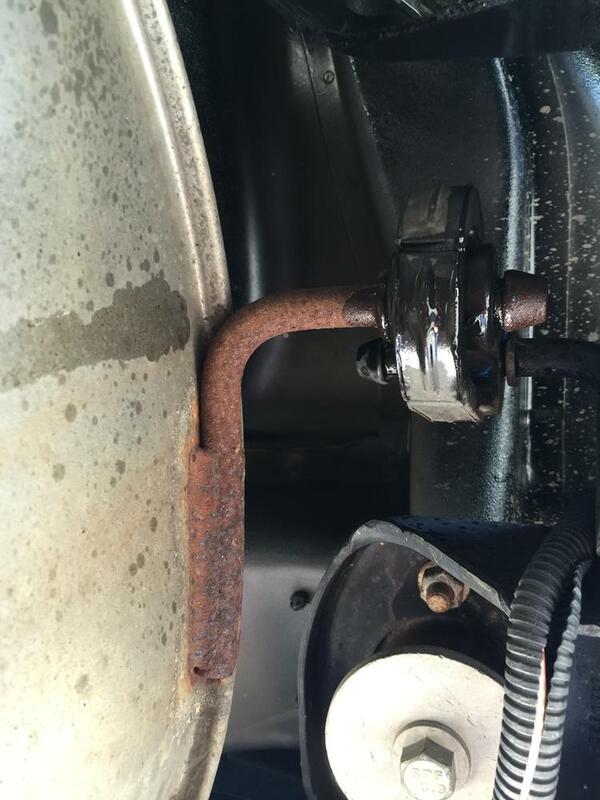 We WD40ed up both rubber hangers for the stock muffler and proceeded to muscle it free. 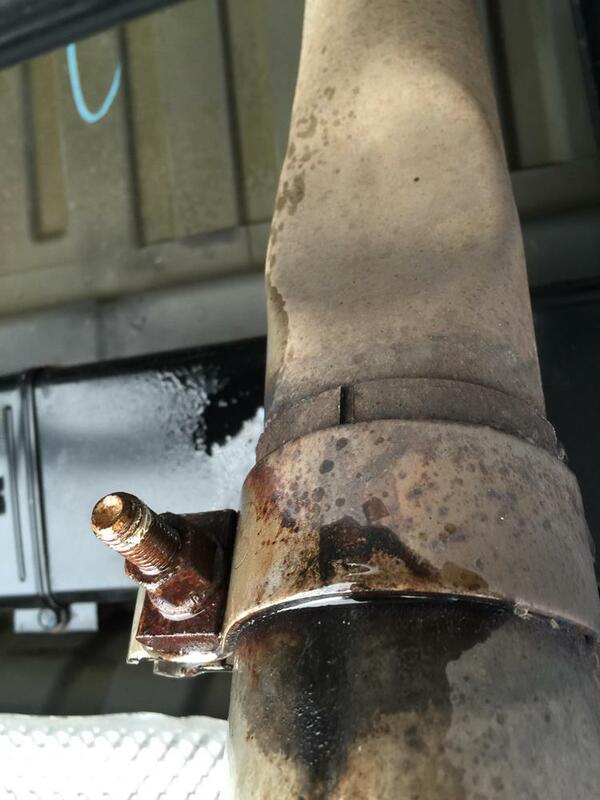 The bracket/bolt that held the muffler to the exhaust pipe required some extra love to come free. 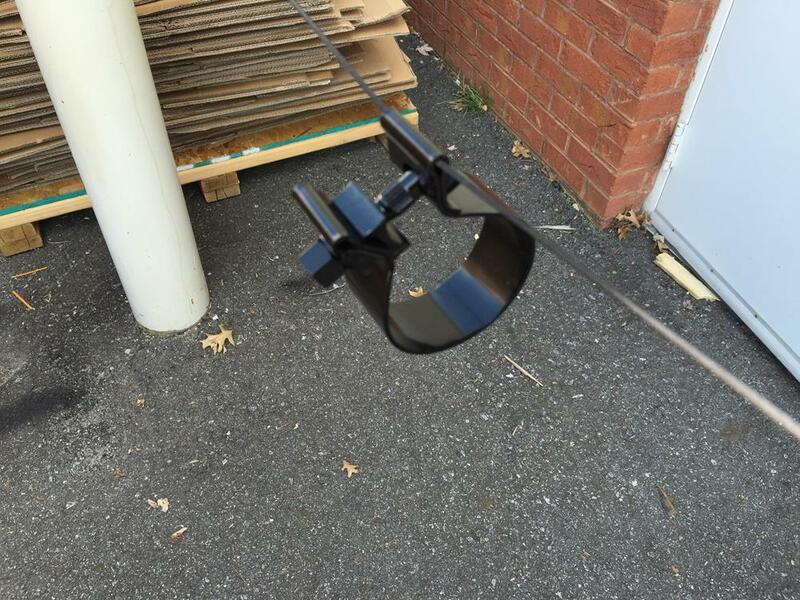 We have decided that no project would be complete without a little VHT, so we painted the new muffler bracket before installation. The OPS Armor Exhaust is much much smaller than the stock exhaust. Once installed, it is basically hidden behind the rear bumper. 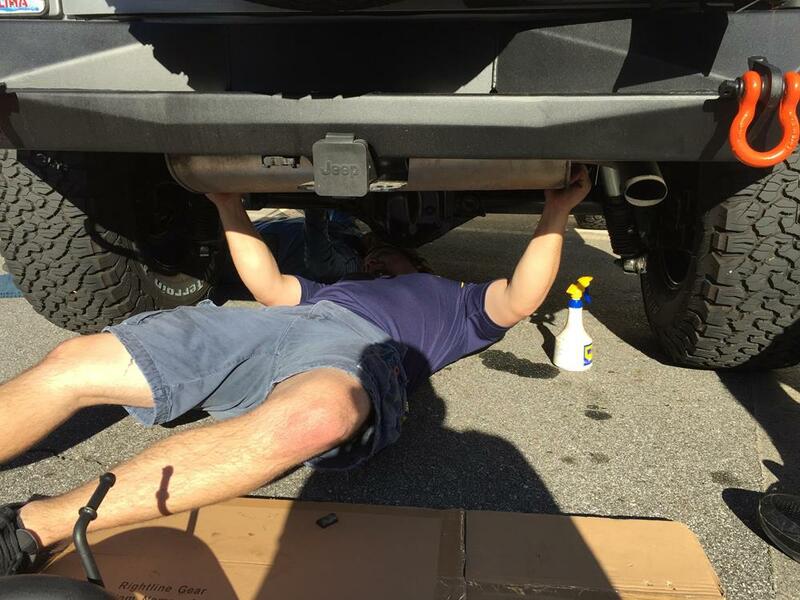 We had to bend the mounting bracket arms a small amount to position the muffler evenly in place. As you can see, it has dual exhaust ports with add-on black ceramic coated tips. The tips can be positioned all the way under the bumper or quite a bit further out, depending on your sense of muffler style. We opted for ~2″ out. 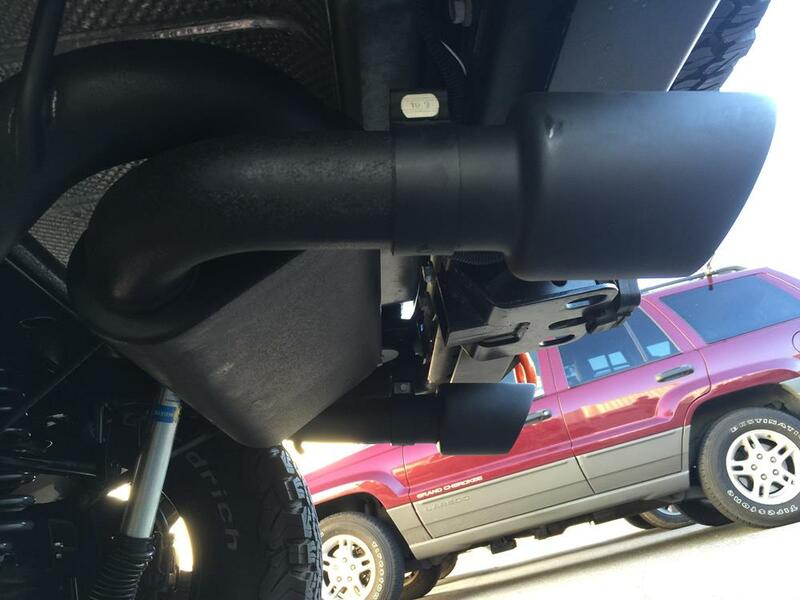 The exhaust fits 2 and 4 door Jeep Wranglers JK in both the 3.6L and 3.8L engines. As I mentioned previously, there is a noticeably power increase right away, especially when hitting the hills. 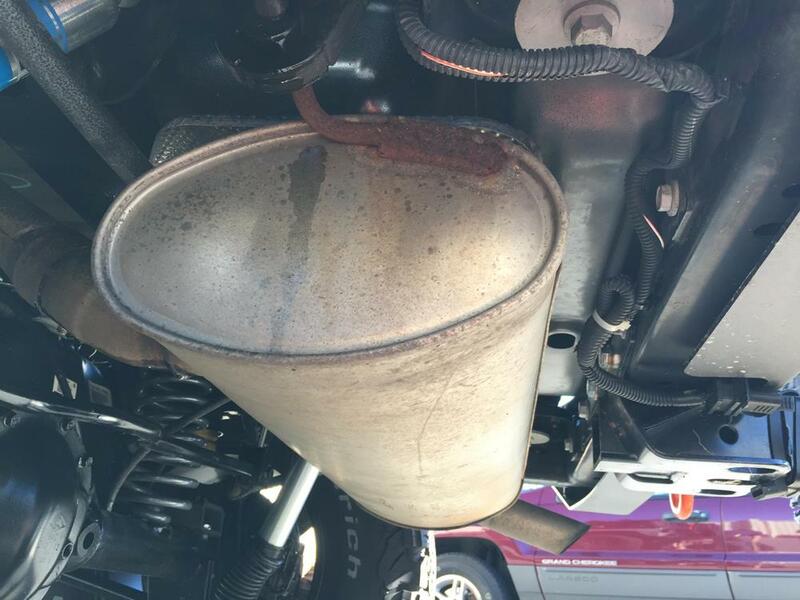 I wonder about the results if a cold air intake were added as well?? At a retail price of $399, this upgrade is well worth it. You will see us smiling all the way to SEMA!